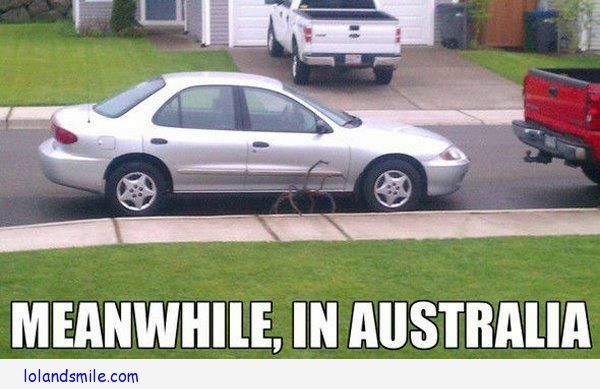 I haven’t posted any new stories the last two weeks because I was on vacation with my family in Australia. 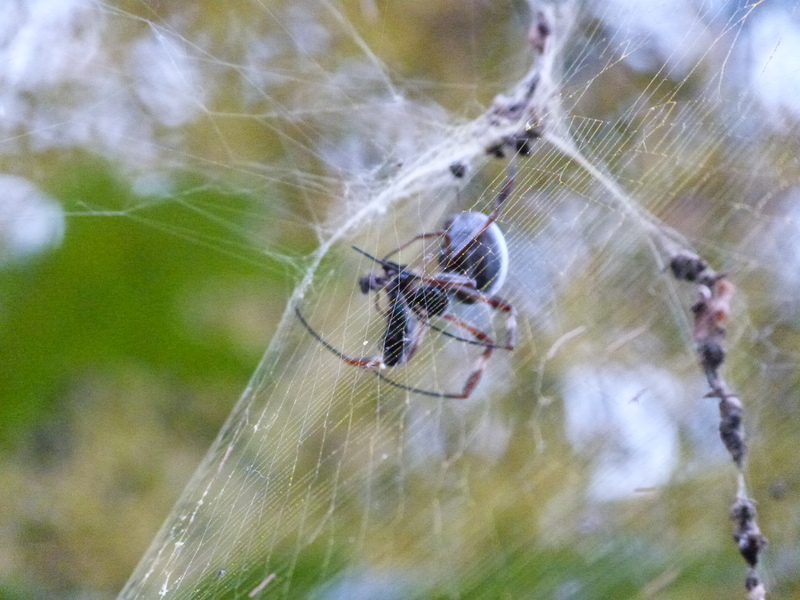 While we were there, however, I kept my eyes open for spiders and took as many pictures as I could. I know that none of these spiders were actually in my apartment, but since I wasn’t in my apartment either I thought it would be fine. 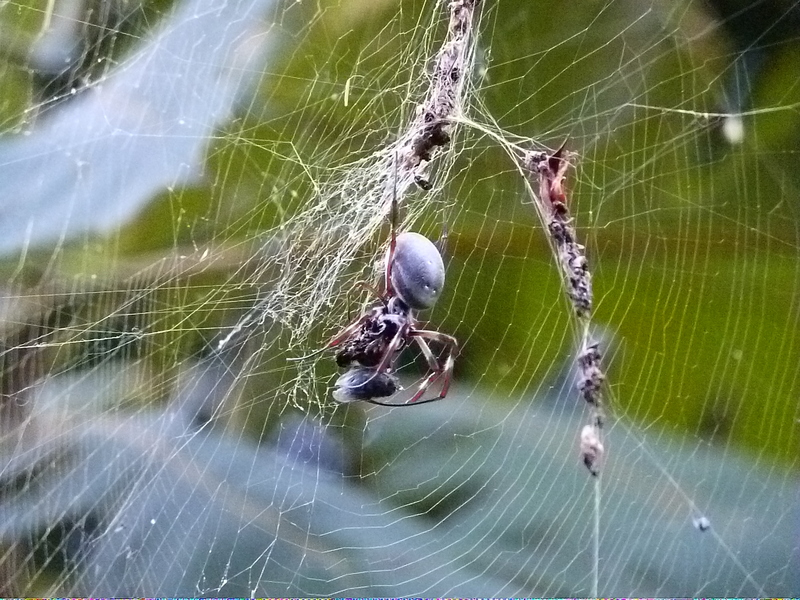 And really it was impossible to not see spiders in Australia, so why not? I just took most of these pictures for fun, so they don’t have spider centered stories, but they all do have little stories about the trip. This lovely lady (ew), who is eating a bee of some sort, was spotted at the Botanic Gardens of Adelaide. During our last evening in Adelaide, my family and I went to explore the Botanic Gardens. During our trip my little sister, who is turning three next month, was in fine form. She was doing her best to push buttons and stretch her limits, laughing the whole time. I’m completely wrapped around her finger, so I was following her around helping her jump off of benches and down stairs. That is her favorite thing to do and if she sees something that can be jumped off of, she HAS to jump off it. After more than an hour of jumping down some steps in front of a glass house with her, I was ready to hand the responsibility off to someone else. My parents don’t spoil her as much as I do (which is a good thing) and only humored her a few times. She threw one of her infamous crying fits, then we moved on to the rest of the gardens. The rest of the gardens didn’t really have as much for her to climb and jump from, so she started running away from us as far as she could before we yelled at her, then she would come back laughing. On our way out of the park, as my sister started to run from us again, my mom spotted the spider up in a tree. We stopped to look at it, but my sister was still running. I started taking pictures and mom started yelling at my sister to come back. Instead of running back to us and laughing as she did before, she started laughing and kept running away. We all yelled this time, and as she rounded a corner and we couldn’t see her anymore, we could hear her laughing hysterically. My step dad went running after her, still yelling, and as I took my last picture of the spider, I heard my step dad catch up to my sister and give her the first spanking of her life. Her laughing cut off quite abruptly and after a small, shocked pause, she started screaming like she’d been severely injured rather than received a pat on her diapered bottom. She’s quite the drama queen, but I love her dearly. Not sure what type of spider it was, but the abdomen was a little smaller than a quarter. 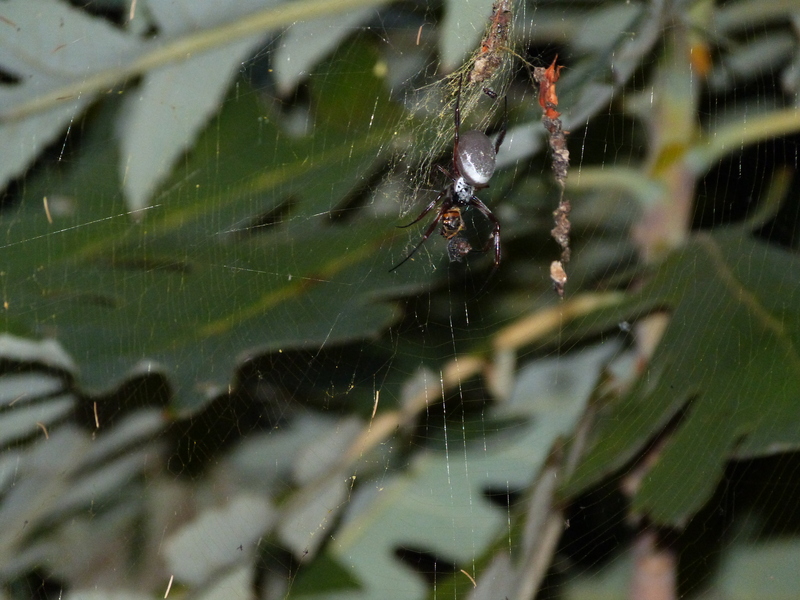 Because Adelaide was a rather large city, this was the only spider that I saw there. Fortunately for the blog, we later went to the outback and the rain forest.